Herbalife, a global nutrition company, today announced an additional Mango Flavor to its Herbal Aloe Concentrate. The beverage product, which has aloe as the primary ingredient and originally infused with lemon, now comes with a new tropical fruit flavor Filipinos are more accustomed to. 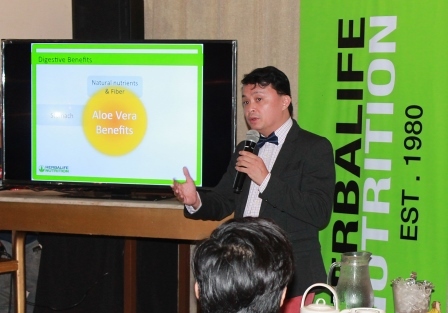 Herbalife Philippines General Manager Rosalio Valenzuela said during the launch, “The Herbal Aloe Concentrate Mango is made from raw, certified organic aloe barbadensis leaves grown in Mexico and is easy to prepare. Using one glass, mix the capfuls (15ml) of Herbal Aloe Concentrate with ½ cup (120ml) of water. Just include it in your daily regimen to support healthy digestion." 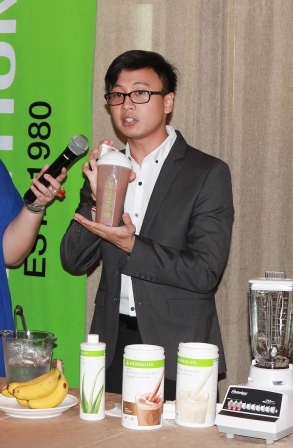 Alain Vegamora, Marketing Coordinator of Herbalife Philippines, shows the audience the right way to prepare an Herbalife Shake. He even shared their favorite Herbalife Shake recipe. Dr. Francis Samonte, the first Filipino member of the Herbalife Nutrition Advisory board explains the benefits of taking the Herbal Aloe Mango Concentrate. 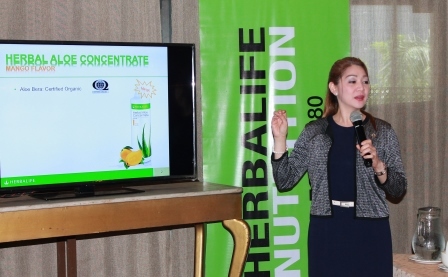 Elise Santor, Herbalife FDA Consultant, explains the mechanics in taking the Herbal Aloe Mango Concentrate. This product was launched in the Philippines at Spectacular 2016, a Herbalife annual event held in the Philippines for its members to receive the latest training in products and business building initiatives from Herbalife leaders and nutrition experts. 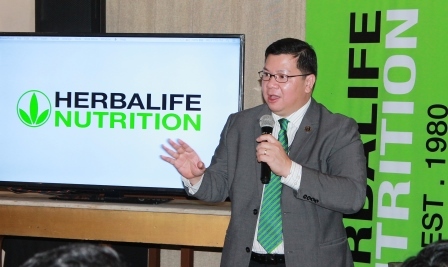 Dr. Francis Gregory Samonte, a member of the Herbalife Nutrition Advisory Board highlighted that digestive health-related disease among Filipinos is a worsening problem that needs immediate attention. Filipinos are suffering in silence from digestive health problems, which could be easily prevented by taking the right food at the right time, according to the expert. 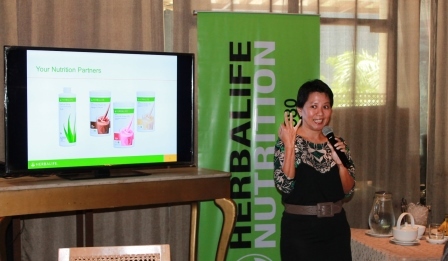 Marie Seguismundo, Herbalife Marketing Manager, discusses the Herbalife operations and the company’s projects. Rosalio Valenzuela, Herbalife Philippines General Manager, talks about the growing Herbalife business in the country. *Disclaimer: These products are not intended to diagnose, treat, cure, or prevent any diseases.